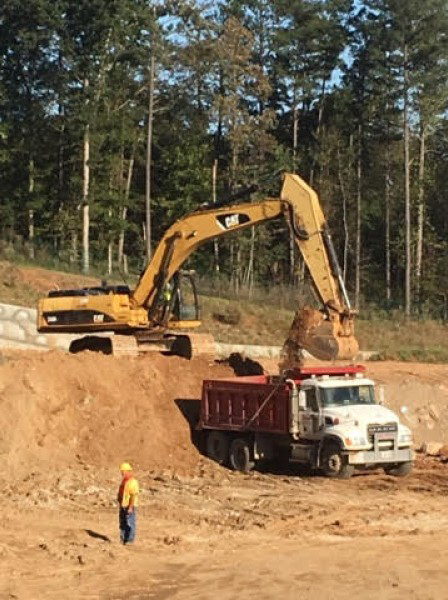 Lewis Contracting Services are excited to announce they have been selected to work on the Phase 2 expansion of DeKalb County’s Snapfinger Advanced Wastewater Treatment Facility. Work will soon commence on the $1.35 billion overhaul of the county’s aging sewer and water system. The facility became operational in 1963, and the original two million gallons per day wastewater plant was the County’s second owned and operated facility. The current facility was completed in 1983 and is designed to treat 36 million gallons per day. The new plant will improve water quality in the area, as well as reduce odors and noise from the site. This new facility will ensure adequate treatment capacity to accommodate future generations living in DeKalb County. This is a three phase project and Phase II will take more than 1600 days to complete. 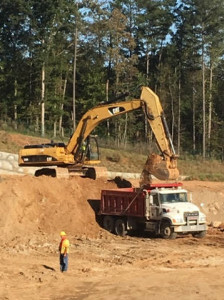 During this Phase, Lewis Contracting Services project scope will include clearing and grubbing of the site and rock removal, construction of a sound barrier wall, blasting of rock and construction of a retaining wall. Lewis Contracting Services is the ideal strategic partner for every construction project, visit them online today – www.lewiscontractingservices.com. Lewis Contracting Services is a privately owned and operated service provider. The company is increasing its capacity in the horizontal construction industry segment by winning contracts and extending their services with clients in government, state and local municipalities throughout the state of Georgia. On a mission to be the leader in the heavy civil segment of the construction industry, LCS focuses on delivering cost-effective construction services with uncompromising standards. LCS combines the perfect blend of experience and technology to enable them to deliver excellent services, safely on time and on budget.